Aries (March 21 - April 19) : This week will be filled with thoughts of stability more than anything else. Stay clear from handling raw electricity this week because there is a chance of some form of shock involved. Mars is the ruling planet for this sign and is moving into the sign of Libra shifting your focus on being more sociable and better mannered. You might get caught up on the more spiritual side of things but don’t let your actions be blinded by faith this week. As the week moves on you will still find the time to make some drama in your love life and partnership. Try not to let that escalate. This week we will be looking at your moon sign. Comparing the SUN sign with the MOON sign you will see that you act totally different than you portray yourself to be. Moon can represent the hidden you. Moon in a chart indicates what kind of mom you have. In a man’s chart, combined with the planet Venus is the mirror of the kind of woman he is looking forward to being with. So let us journey to see what your MOON SIGN SAYS ABOUT YOU! To find your moon sign just place your date of birth place of birth, and (if available), time of birth in the chart generator above. After you have done this, find your moon sign description and read it. The planet Venus is known in astrology as the planet of love, pleasure, good things in life, beauty, fairness and romance, marriage and money. Most people you see with a beautiful face or body have a well placed Venus in their chart. This is where the term “women come from Venus” derived from, because these are the things woman tend to focus on. Venus is the ruler of The Zodiac sign TAURUS and LIBRA. Ever notice how most TAURUS love pleasure, good things in life, love money and are naturally beautiful? Or how a LIBRA just doesn’t like being without a relationship, or how he/she wants to be in a committed relationship always, want fairness, romance and happen to be very pleasing to the eye? Well you can blame Venus for that. Everyone on Earth has a Sun sign, Moon sign, Mercury, Venus, Mars and Jupiter signs in their chart. These planets are called the inner planets and they tell us about a person’s daily day to day life. The outer planets have a more lasting effect on our lives. Each planet located in a certain sign at the time of our birth. This helps to shape each one of us in a unique way. This is why not all Aries act alike or why not all Virgo act the same. I will begin my column educating you with information to help you understand yourself far better than you may possibly have imagined. It may even help you understand the people in your lives as well. 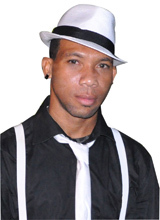 The Bahamas Weekly is pleased to announce a new columnist to add to our rich plethora of writers. Tametryo Brown of Nassau will be doing weekly astrological updates for the 12 signs of the zodiac every Friday in the new column, Message from the Stars.